Cardilini, A. P., K. B. Ekanayake, and M. A. Weston, 2012. 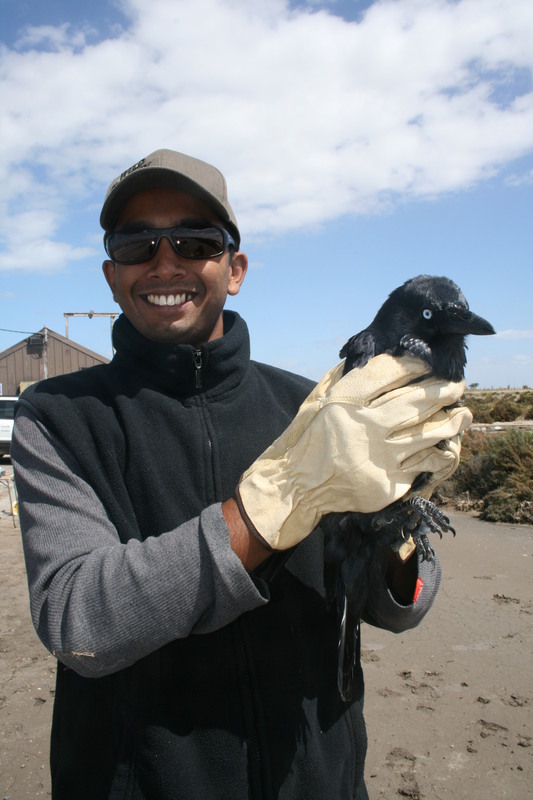 Little ravens Corvus mellori hunt, kill and eat individuals of two species of shorebird. Victorian Naturalist, 129: 22-24. Ekanayake, K.B. and M.A. Weston, 2011. Aggressive behaviour of Red-capped Plovers Charadrius ruficapillus towards the Eastern Blue-tongue Lizard Tiliqua scincoides scincoides. International Wader Study Group Bulletin, 118 (3): 191-192. Ekanayake, K. B., 2010. Does sexually dimorphic ornamentation attract predators as well as mates? Honours Thesis. Deakin University, Burwood. Karunarathna, D.M.S.S., A.A.T. Amarasinghe, and E.M.K.B. Ekanayake, 2008. An Observation of predation on a Suckermouth Catfish (Hypostomus plecostomus) by a Water Monitor (Varanus salvator) in Bellanwila-Attidiya Sanctuary . BIAWAK – Quarterly Journal of Varanid Biology and Husbandry, 2 (1): 37-39.